Voice your opinion! Review Fields Data Recovery UK now. 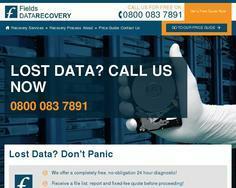 Is Fields Data Recovery UK your company? Data Recovery Professionals providing a world class data recovery service with hard drive recovery experts in Birmingham, Leeds, London and Manchester.